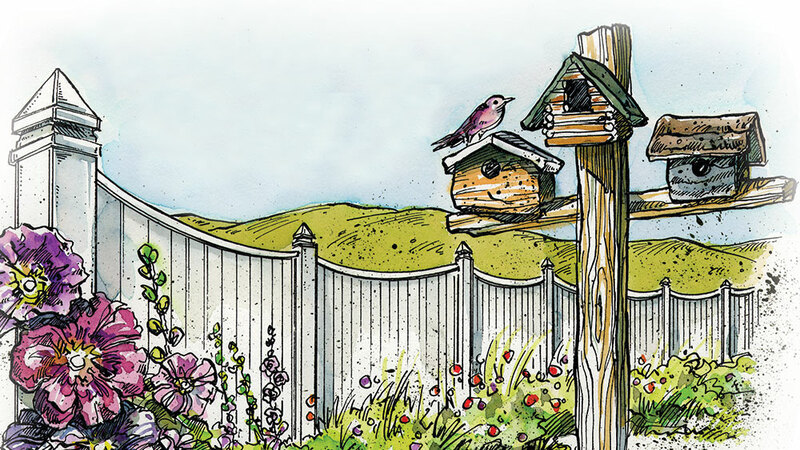 Rober Frost, surrounded by his Vermont apple orchard, once said that good fences make good neighbors. But the great poet also tried to figure out why this is so: "Before I built a wall, I'd ask to know what I was walling in or walling out." In short, why the heck do you need a fence in the first place? For many log home owners, the answer is obvious. Fense become rustic frames for their property or accent pieces for gardens, driveways and patios. Of course, the first question that many people ask relates to material. A host of options exist—from vinyl to metal—but, to adhere to the aesthetics of your log home, wood is overwhelmingly the choice of many. So, which wood is best? Truly, there's no easy answer. Cedar is popular because it's naturally resistant to rot and doesn't need to be treated. But, according to the American Fence Association, you can find pressure-treated southern yellow pine and some red pine species that resist decay, too. Other types of wood commonly used in fencing include cypress, poplar, oak, spruce, redwood, hemlock and locust. Most of these species should last more than 20 years. "Wooden frense are all-natural and complement the look of your log home," says Keith Hersey, a sales associate with the fencing divison of Katahdin Cedar Log Homes. "When it comes to the cedar trees we use, nothing is wasted. the larger wood goes to log-home construction first, then we use the smaller wood for our fencing line." Keith's group sels everything from tonque-and-groove fences topped with lattice to picket fences with 4-foot high open panels. Many companies, including Katahdin, sell 8-foot long panels that range from 4 to 10 feet high. Above all, don't let your imagination get fenced in. If you want to highlight a natural area, for example, consider an ornamental design that is both stury and visually appealing. 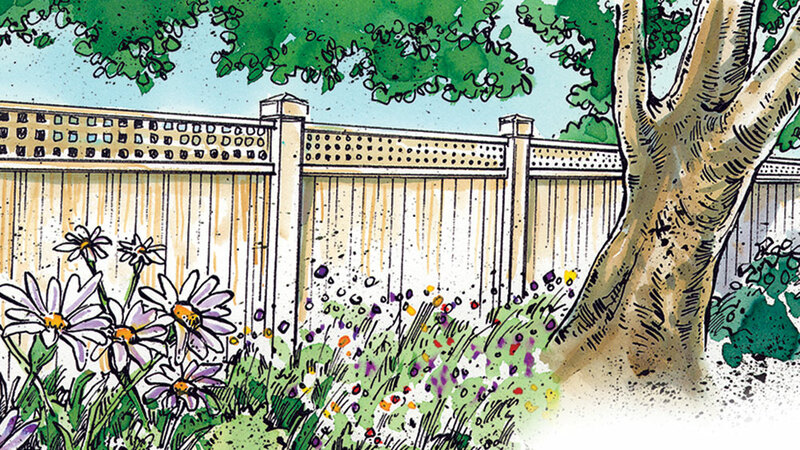 "We once had a customer who asked us to sketch some fencing ideas for him," Keith says. "We created a fence of half circles that we had mounted on brick pillars around his property. It was gorgeous. He bought 77 sections." That's about $35,000. 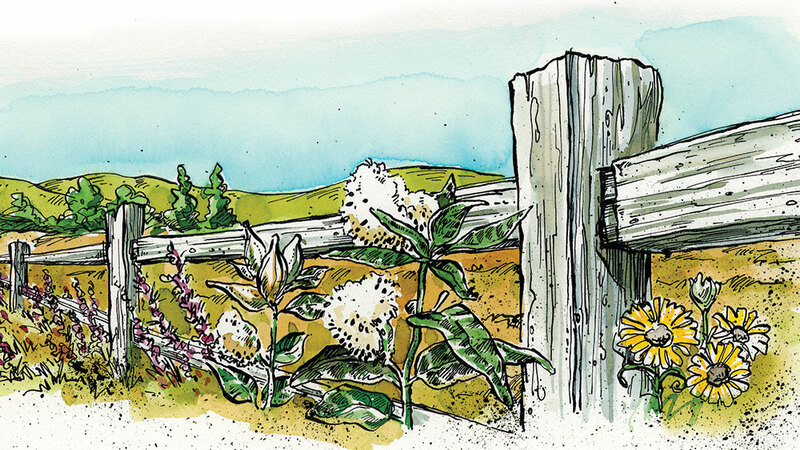 Maybe not the scale you're considering, but a good example of how inspiration—yes, even when it comes to fences—can add abundant style to your home. Simpe and elegant, 5-foot -high space-scallop fences (with 2-by-4-foot backers and 5-by-5 foot pointed posts) provide a nice alternative when you'd like to set off a portion of your property's boundaries. 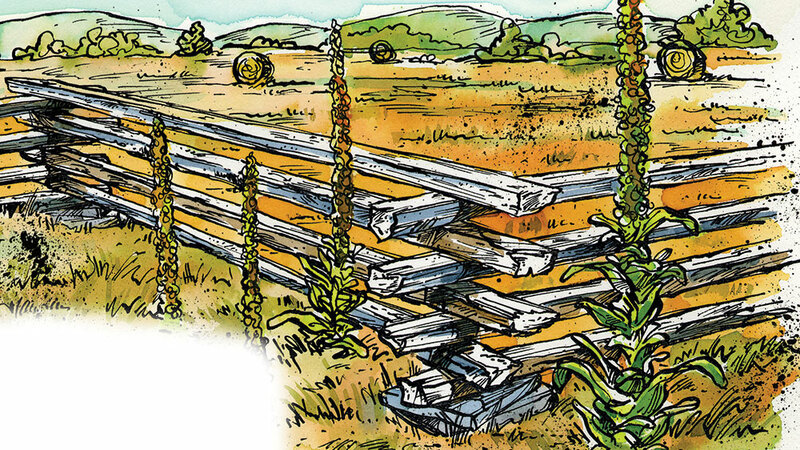 Rustic style shines with traditional split-rail fences, which typically have 10-foot rails connected to 7-foot long posts. There's a good reason you see them so often in rural areas: They tend to last forever. Simplicity is everything with these stacked, maintenance-free border fences that boast 10-foot rails. 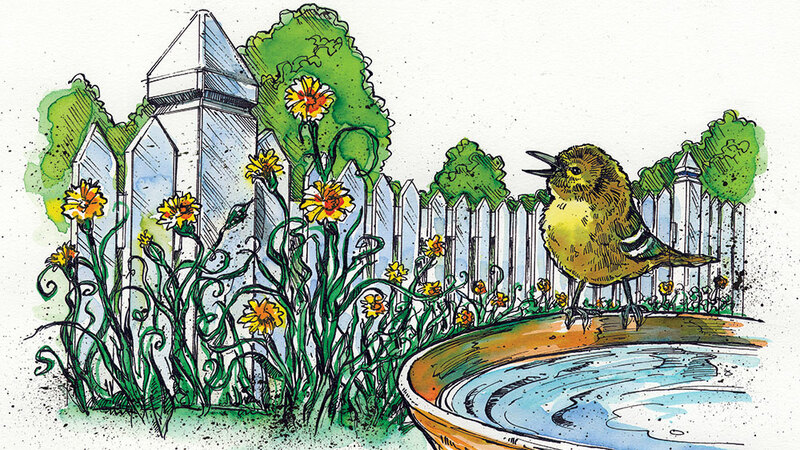 No holes are dug, and nothing touches the ground; the fence sits on patio blocks—great for setting boundaries on your property. If privacy is an issue, fences with tonque-and-groove panels and lattice toppers (typically 5 inch-by-5-foot posts with pyramid caps) are tasteful options. Many log home owners opt not to stain fences and allow them to turn naturally silver and gray (the weathered look). A scalloped panel defines this picket fence.